Carnivore, Vegan, Pescetarian, or Flexitarian! I have been a vegetarian since I was sixteen-years-old. Half my family is vegetarian. We always seem to make and eat the same meals. Cookbooks like [amazon_link id=”1558327452″ target=”_blank” ]Herbivoracious: A Flavor Revolution with 150 Vibrant and Original Vegetarian Recipes[/amazon_link] by Michael Natkin offer inspiration. An indefatigable explorer of global cuisines, with particular interests in the Mediterranean and the Middle East and in East and Southeast Asia, Natkin has crafted, through years of experimenting in his kitchen and in loads of intensive give-and-take with his blog readers, dishes that truly are revelations in taste, texture, aroma, and presentation. A third of the book is taken up with hearty main courses, ranging from a robust Caribbean Lentil-Stuffed Flatbread across the Atlantic to a comforting Sicilian Spaghetti with Pan-Roasted Cauliflower and around the Cape of Good Hope to a delectable Sichuan Dry-Fried Green Beans and Tofu. An abundance of soups, salads, sauces and condiments, sides, appetizers and small plates, desserts, and breakfasts round out the recipes. Natkin, a vegetarian himself, provides lots of advice on how to craft vegetarian meals that amply deliver protein and other nutrients, and the imaginative menus he presents deliver balanced and complementary flavors, in surprising and utterly pleasing ways. The many dozens of vegan and gluten-free recipes are clearly noted, too, and an introductory chapter lays out the simple steps readers can take to outfit a globally inspired pantry of seasonings and sauces that make meatless food come alive. This is a beautiful book. I especially appreciate the photographs, as they help me imagine what the recipes will taste like. I also really like how the recipes are not too difficult. As a mother, I don’t have time to make recipes that require many, many steps and hours. I need easy, simple recipes like “Asparagus with Nori Butter” and “Rustic Peach and Nectarine Crostata”. YUM! I think we will try the “Potato and Green Bean Salad with Arugula Pesto” for dinner very soon! And the “Quinoa Cakes” look amazing too! 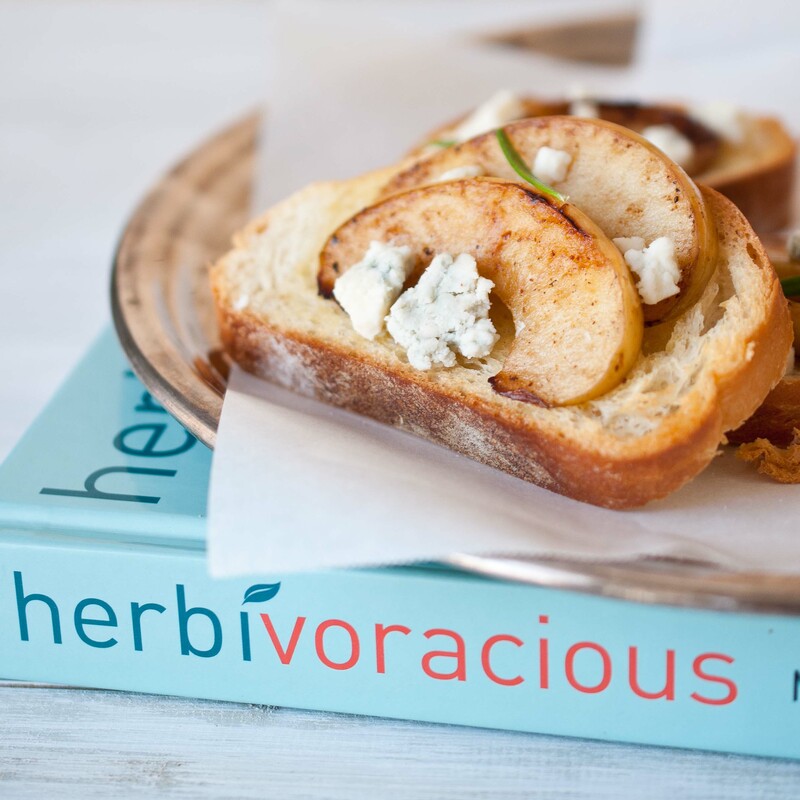 Don’t forget to check out the Herbivoracious blog for more great recipes!